Happy Monday, folks! How was your weekend? Did you do anything fun? Did you eat any delicious food? I had a very fun weekend! Friday I did nothing but relax and read and crochet and it was so lovely! Saturday I met a friend at White Rock Lake because we wanted to try stand up paddle boarding. We didn’t reserve a time and so they were all booked for the day (bummer), so I ran some errands, went back home, watched a movie, and did some work. I also reserved a time for us to go to the lake the next day! So Sunday at 8am we were at the lake and it was so great! We had a lot of fun trying the stand up paddle boards (the wobbliest part for sure!) and spent an hour out there paddling and talking and enjoying the gorgeous weather. I am proud to report that I did not fall into the lake! After that I took the fastest shower ever and went to the late service at church. But now the weekend is over and it’s back to work. My cubicle has been pretty bland and boring since I started here back in March. 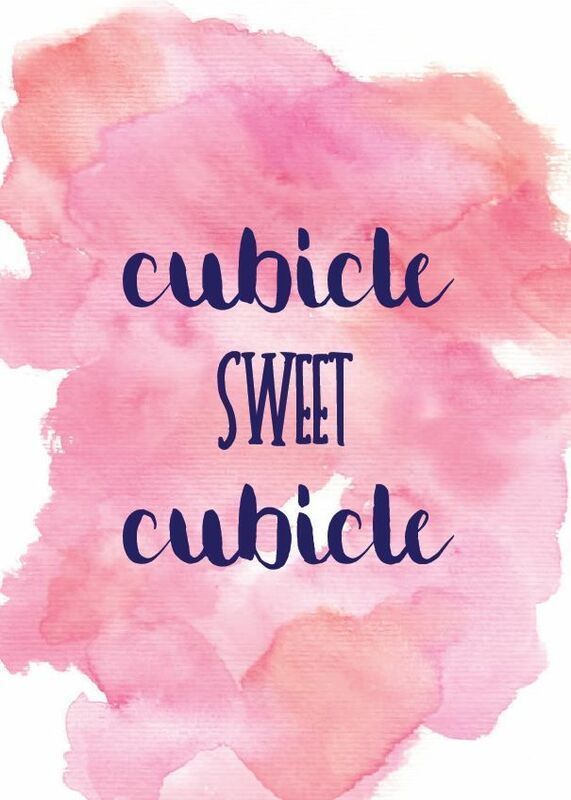 I had all these grand visions of how I can decorate my cubicle at work- I scoured Pinterest to see what ideas I can steal, and then I did nothing about it. I sat at a boring desk for months and months and it just made me feel so blah. But enough is enough! It’s time to decorate a tiny bit! I’ve obviously started very slowly. I created a little print to have on my desk (feel free to grab it and put it on YOUR desk, too! What’s mine is yours!) and I love how bright and happy it is! I also chose some of my favorite instagram pictures to have printed and then strung them up on my teeny tiny bulletin board space. I ordered them through Artifact Uprising and I am SO happy with the size, the material, the quality- everything! I got 25 prints, so I’ll rotate my pictures every few weeks. I still want to spruce up the rest of my desk, but this is a start for now. Also, my company is really going for a clean, modern look and they don’t really encourage a lot of personal decoration, so who knows if I’ll even be able to keep my pictures up. I will just keep decorating and hope for the best! Here is the printable for you- save it, download it, use it! I have mine in a 5×7 frame and it is the perfect size! I love this!! 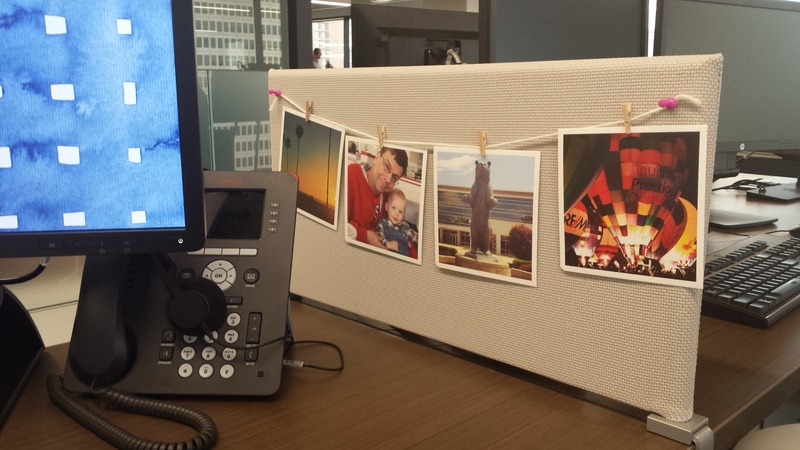 I’ve been trying to figure out how to decorate my cubicle. Love how you displayed the pictures. Thanks! Not having a real ‘cubicle’ makes it a bit harder to decorate, so we’ll see what else I can come up with! Thanks- it was fun to make! 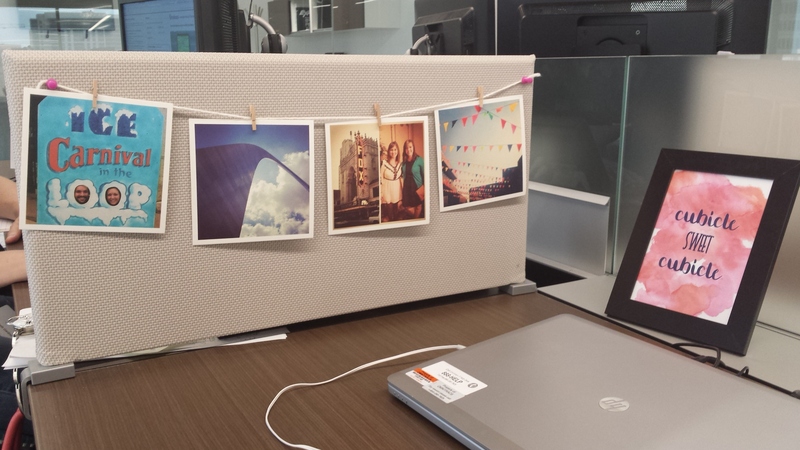 You should post some pics of your desk once it’s all (or partly) decorated! I love the printable!! Thanks for sharing this tip.